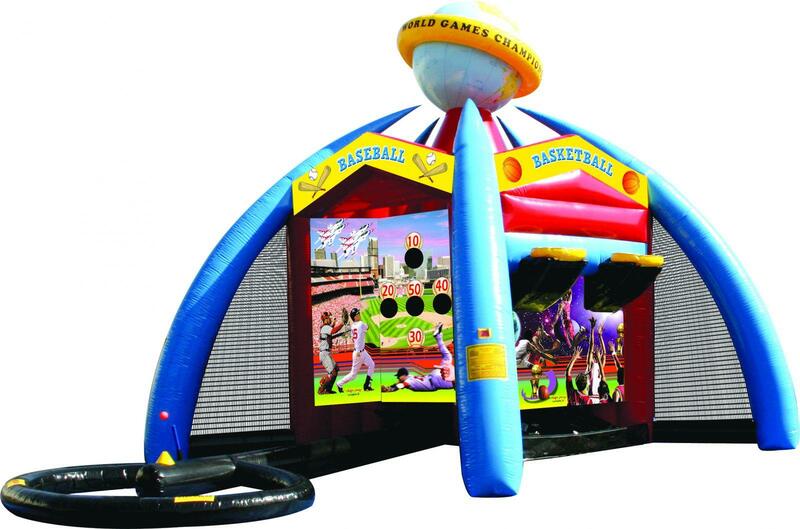 Rent this world of sports bouncer for your school or church event. Having five stations it's sure to have something fun for everyone. 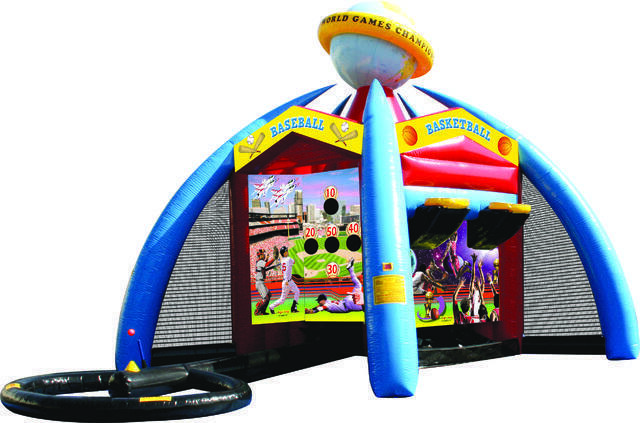 It has basketball, baseball, soccer, football, and a frizbee game.